The process of designing your dream home has several steps, and you should have started these steps already if you have a builder and an architect already selected. Because before you can choose the right partners for your project you must know if they have the same vision of your dream home as you do, and I’ve touched upon that topic in Dream House Part 2 and Part 4. During this process is where my dream home hit the first bump in the road, let me explain. It was all very innocent, but things slowly fell apart. First, I chose a builder whom I personally enjoyed being with and talking to. He was there for me several years ago when I was considering purchasing a home and remodeling. He visited several homes with me as I shopped around, letting me know what types of renovations each home would require. This took considerable time out of his schedule and I was grateful for his expertise. When we finally decided to build, there was no question which builder I was going to use. Admittedly, his normal scope of projects are priced double what we intend to spend, but we thought our relationship had come far enough that we could make it work. His large company offered lots of resources, and he has a gentleman he uses for the design of his homes and we were brought together to work out the design for my home. I was thrilled that the designer allowed me to show up with plans for him to review and make suggestions. I was to go home and rework certain details to both our satisfaction. We worked from the inside floor plans to the outside elevations of my dream home and that’s when we suddenly couldn’t see eye to eye. He had trouble understanding what I wanted and I needed guidance myself since I’ve never designed a home before! During this time, our budget became part of the decision making process…as it should, and cuts in square footage and decorative details needed to be made. Unfortunately, there were so many cuts that the house didn’t end up looking like anything I wanted to live in and call my own. I was so disappointed and felt responsible for the failure that we decided to walk away and rethink what we were doing. I called on an architect friend from my son’s school and asked if he could meet us just to consult on the plans and elevations we had. In our conversations he suggested we consider a modular style of building because you could get a bit more square footage for fewer dollars. He explained that there are several modular builders across the country, that build your home in “boxes”, almost like Lego building blocks. What is unique is that they construct your home in a factory, complete with toilets, showers, flooring, kitchen cabinets, etc. in place and then they truck it to your property and crane the pieces in place. On site the plumbing and electrical is all joined together, the boxes are connected and the exterior details are done. From approval of the job to your property can be as short as 6 weeks with a few weeks tacked on the end to do the finishing details. Another advantage was the cost, as I mentioned earlier. Where a normal stick built home would run us $200-$220 per square foot, the construction cost for a modular home was closer to $100-$125 per square foot. Add to the fact that your home is built indoors, out of the elements in a controlled environment, on an assembly line, and well, it sounded perfect. By now, we were about 9 months into our project and nothing to show for it but a beautiful piece of property…yet nowhere to live! So, we immediately went to work designing the house. I worked beautifully with my architect and friend, Bill Tagland. We had so much fun moving things around, trying angles and high roof pitches, adding balconies and stone walls because we had more freedom with this type of construction. We designed and redesigned for about three months, and sent the design out to several modular home builders for pricing. This occurred during the holiday season, so we lost some additional time when the factories were closed. By January, the most local company within the state of Florida decided they were not comfortable with the unique design we were trying to create. The angles and complex roof lines made them suggest that we create the roof on site, and the garage, and maybe add the kitchen and bathroom cabinets once the house was set, and so on. However, the modular company located in Virginia was willing to do all of the creative details we wanted for our home and they priced it out without a problem. When the pricing finally came in, everything seemed to be in line except for one price…the shipping. As it turned out, to ship a “box” from Virginia to Florida cost $10,000. We had 7 boxes. The additional shipping costs brought the final price of the home to the same cost of building it on site. Rats! Another 5 months down the drain. Bill and I went into high gear after that converting the modular design back into a standard design home. Two months later, we were ready to price it again. I returned to my builder friend and gave him an opportunity to bid on this new plan. Unfortunately, in the end, our budget and their quality and price of home were too far apart. As an amazing aside, he was willing to meet my budget and forego much of his fee, but I couldn’t put him or his people through that. Bottom line was they were just too high end for our project. Bill stepped in to suggest a builder he had worked with on several recent projects and we met and clicked right away. 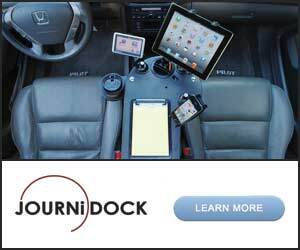 He has a successful smaller business with less overhead, and can more easily work within our budget. I’m sure we will be much more involved in the daily process of our home and I’m hoping it will be a fulfilling experience for us. It’s been over a year since we started our design process, and we finally feel like we have taken a step in the right direction. I’m sure this isn’t the last bump in the road to our dream house, but we are hopeful and excited about the road ahead! After remodeling our 60 year old lake home, I can’t imagine designing & building a home. Good for you for not plunging in to the first plan. Good luck with your venture. I had been wondering how the Dream Home had been going, since I hadn’t heard anything. It’s just as exciting for me to see your home come to fruition as it is for you. Please be sure to keep us updated.. with lots of pictures!! Best Wishes for a smooth Build!! Thanks for the update on your home, Shari! I’m sorry you’re not where you wanted to be in the process…but it sounds like things are coming together for you. Can’t wait to see the finished product! Matt Fox and Shari Hiller have been doing Television together for over 20 years. They hold the record for the longest running decorating show in history with "Room by Room," which aired on HGTV for 14 years. Their current show, "Around The House with Matt and Shari" can be found on PBS. 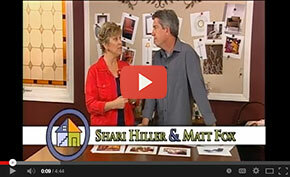 Check out our youtube channel, where you can find all the latest Matt and Shari videos!